Bendigo on the Hop is a craft beer festival of sorts. The festival is organised by the not-for-profit organsiation Bendigo Beer and staffed mainly by volunteers. in addition to showcasing some of Australia’s best independent brewers, it’s a fantastic day out in Bendigo. The beautiful city and its buildings are just as much the stars of the day as the great beers on offer. Unlike other Craft Beer festivals, Bendigo on the Hop doesn’t confine itself to a park or sporting ground. Local venues host two or more craft breweries for the day and the attendees are free to roam between venues at thier own pace. The consumption of beer is to be kept inside the venues, naturally. Below is a list of all the venues and craft breweries participating in the 2017 event. 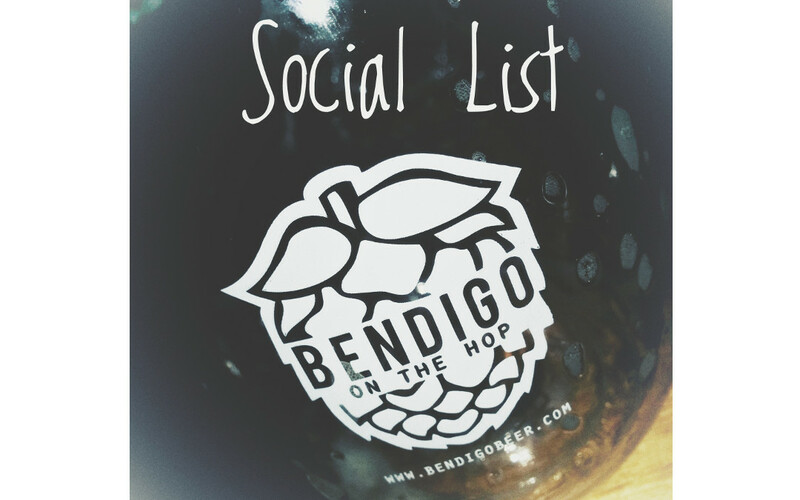 You can access the same information from Bendigo Beer’s website, but I’ve added links to the websites and social media profiles for all the day’s venues and brewers. So whether you’re just about to go to Bendigo on the Hop and want to find out all you can about the brewers, venues and people behind it, or you’ve just been and want to know more about the great beer you just tasted, scroll on down and click, click, click.